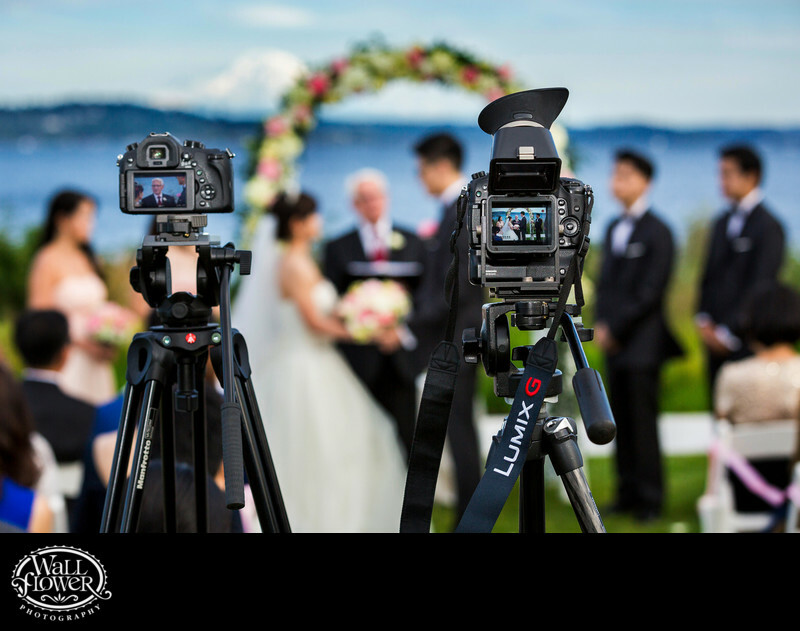 These two video cameras were set up by a wedding videographer outside my professional control, and as I shot this wedding ceremony on the lawn of the Seattle Tennis Club with gorgeous views of Lake Washington and far-off Mt. Rainier, I wasn't too happy to have to work around them in the center of the aisle. But, they did offer me the opportunity to capture a pretty unique viewpoint on the ceremony!